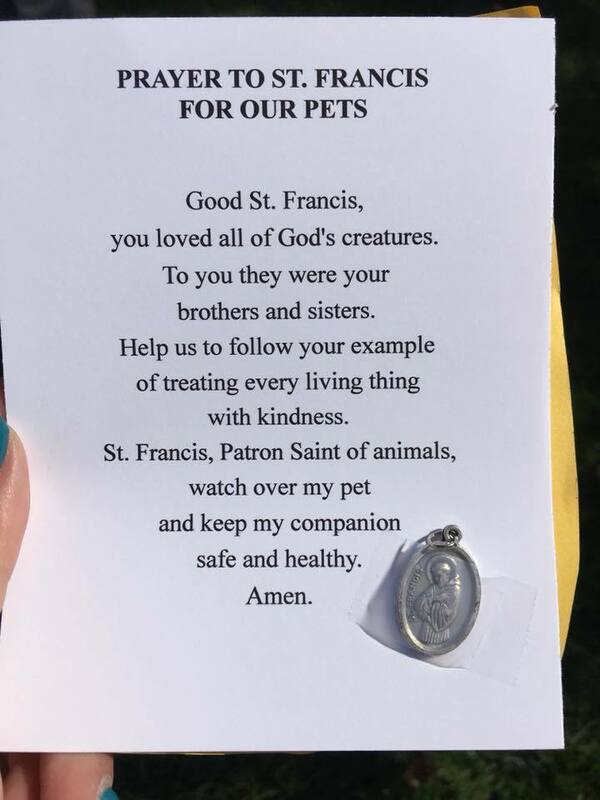 The blessing of pets and animals is often celebrated on close to October 4, which is the feast of St. Francis of Assisi. Francis loved all of creation and viewed all of creation as a gift from God to be appreciated and cared for. In the Scriptures, the act of blessing means &apos;the imparting of power or life.&apos; The person performing the blessing is mediating that power from God or Christ to the person performing or the animal involved. To bless is more than an expression of goodwill and caring. To bless is to impart God&apos;s power in person! So we gather together as community to ask for God&apos;s blessings for the animals that are part of our lives. We also ask God for the blessing of those who care for the animals. May we always appreciate all of creation and never take for granted the beauty of God&apos;s gift. The Blessing of animals for 2017 took place on Saturday, October 7 check out some of the photos below.